Sold in 10 foot increments. Unique High “Q” Special Blend Litz Wire For Better Sensitivity And Selectivity Than Standard Litz Wire Across The Entire AM Radio Band. 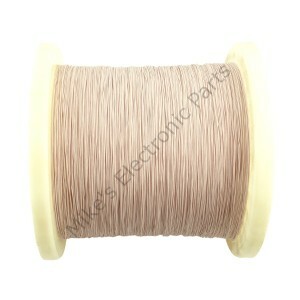 180 strand 46-44 AWG special blend litz wire. We had this litz wire specially made for us. 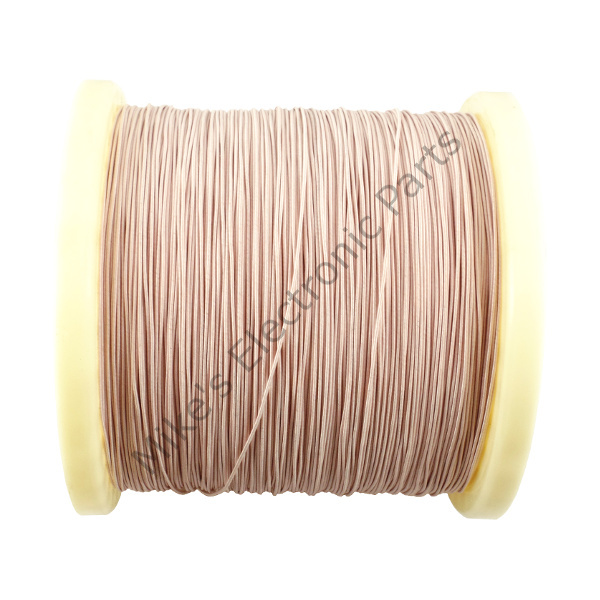 It is a blend of both 46awg and 44awg wires in one bundle. 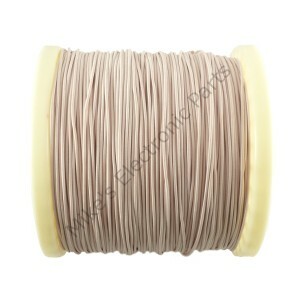 Since our 175/46 is one of our most popular sizes, we ordered the special blend in 180/46-44 half 46awg and half 44awg. 44 awg gives a high “Q” for the lower to mid AM Radio band and 46awg favors the mid to high end. This blended litz wire should give high “Q” values over all of the AM Radio band. If you can not decided on 44awg or 46awg for your application, ask yourself “do I want to favor the lower AM bands or higher AM bands?” If you want to cover all of the AM radio band then why not use a wire to completely cover the entire AM radio band. This wire will be more consistent in covering the full AM radio band whether you are making a Litz wire loop antenna or a Litz wire crystal radio coil or a high “Q” coil for a TRF (Tuned Radio Frequency) receiver like the MK484 or TA7642 type radio. Optimal frequency range for 46-44 AWG litz wire is 350 KHz – 1.4 MHz.